Provide comfort for the family of David Abrams with a meaningful gesture of sympathy. David Vance Abrams, 60, of Concord, passed away Tuesday, February 19, 2019 at Atrium Health NorthEast. The family will receive friends from 6:00 pm until 8:00 pm Thursday, February 21, 2019 at Wilkinson Funeral home. David had a passion for trucking, and for the last 48 years he was able to fulfill his passion at J.O. Flowe Grading Company as a long-haul truck driver. When he wasn’t on the road, David enjoyed everything there was about NASCAR. He was preceded in death by his father, Everett Russell Abrams. Left to cherish his memories are his loving wife, Rhonda Abrams; step-daughters, Emily, Jennifer and husband Tyler; granddaughter, Autumn; mother, Joann Abrams; brother, Tim Abrams and wife Karla; half-sister, Pat Shaw; a host of nieces, nephews, great-nieces, and great-nephews; and special friends, Jeff and Sissy Clayton. In lieu of flowers, the family requests memorial donations be made to the Speedway Children's Charities, 5555 Concord Parkway South, Smith Tower, Suite 408, Concord, NC 28027. To send flowers in memory of David Vance Abrams, please visit our Heartfelt Sympathies Store. Susan Stephenson-Hasty sent flowers to the family of David Vance Abrams. 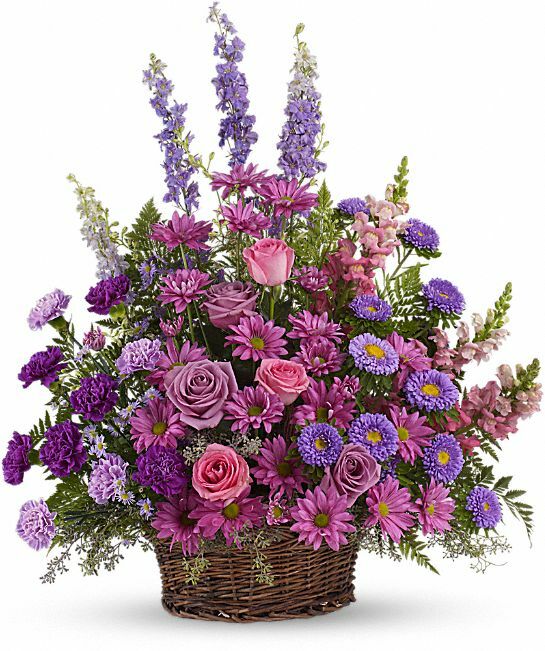 Susan Stephenson-Hasty purchased the Gracious Lavender Basket for the family of David Abrams.